Jars, wire top, zinc top. Collections. Buttons, Spools, Thread, Thimbles. 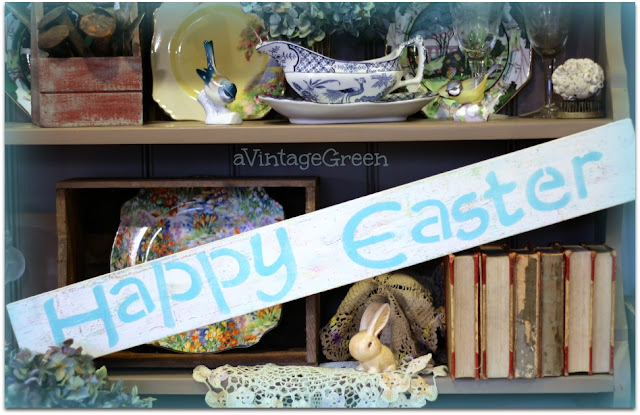 My small desk vignette (egg print from Graphics Fairy), Cast Iron bird (a Christmas treat) and the buttons - found them on Sunday when I was digging through boxes on the top shelf in my shed. I just knew I had some packed away somewhere. 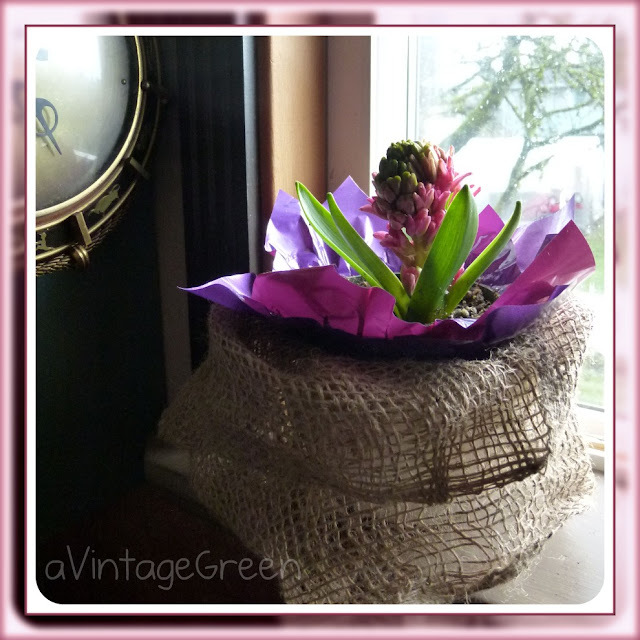 The pint milk bottle was another summer find just waiting to be put to use again. These sewing collectibles came from the summer when I bought sewing baskets at yard sales and got wonderful surprises when the baskets weren't empty. Vintage sewing findings. Happy me. The thimbles have been collected from here and there for some time and one day I had that small 'ah-ha' moment and put them together in a small sealer. I found a few button related posts from other bloggers that you might enjoy. Your vintage jars are so pretty with the buttons. I found a jar recently in aqua blue and just love it. Happy Valentine's Day! for storing sewing notions. Great idea! I am so attracted to collections, then to put in the jars even better , I like the surprise of them. You continue to see surprises as you turn the jar. Hi, Joy! Finding sewing notions at yard sales and estate sales is one of my favorite things. It's so fun finding those tiny treasures. So clever and pretty how you've displayed yours. 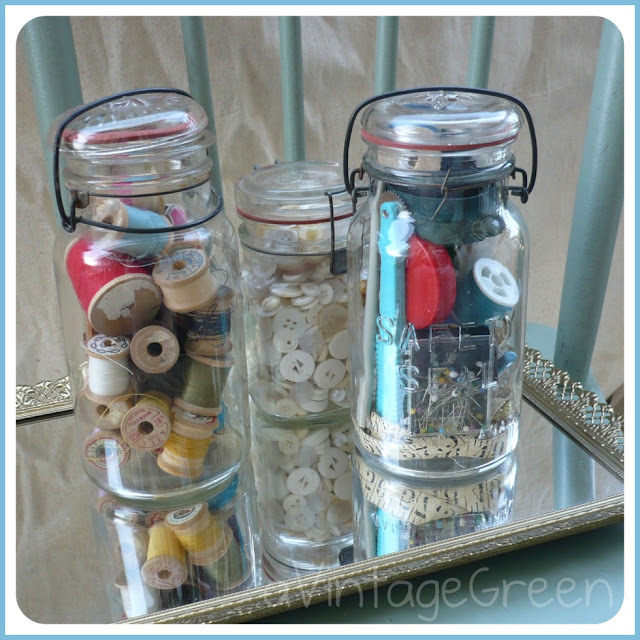 There is something special about a jar of buttons or sewing treasures. It always makes me smile and they look so fun on display. Love your jars! Such a beautiful collection! You always give me ideas! Thanks for sharing YOURS!! 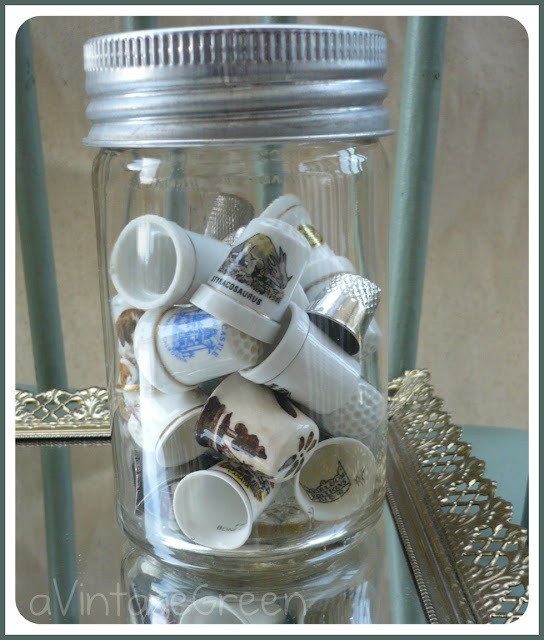 I love your vintage sewing treasures and they look so pretty displayed in jars! I think collections are meant to be seen and enjoyed! Thanks for sharing!